I'm a big fan of Pete Holmes' podcast You Made It Weird. If you're into comedy, relationships and/or god I suggest you check it out. 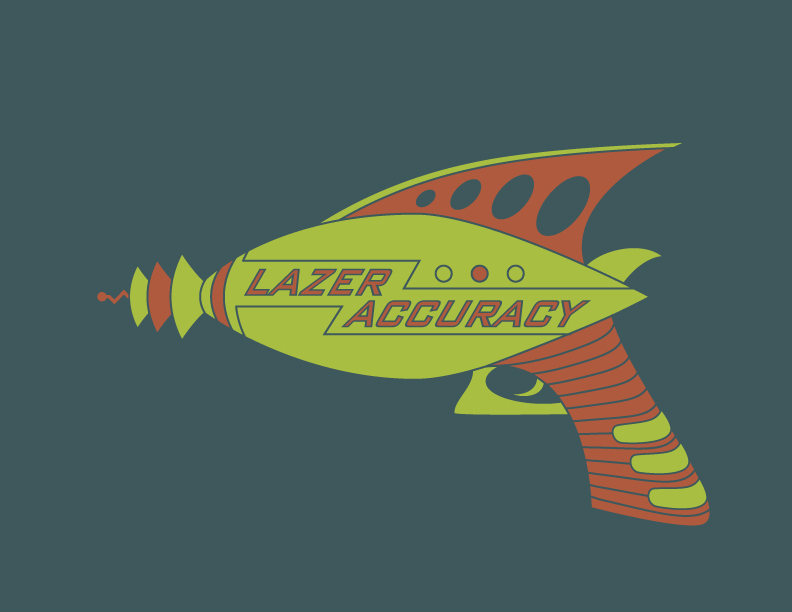 Describing why the phrase "laser accuracy" is relevant to the show is kind of pointless but it has to do with Pete's love of being mocked by his guests. I can describe why I spelled laser with a "z" and not an "s" though. The letter "z" looks cooler than the letter "s". Easy. And if Pete happens to be reading this and Pete would like to see these made it to shirts Pete should contact me. Just sayin'.